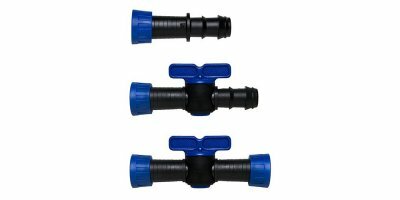 AZUD FIT - Irrigation - Irrigation Fittings - Microirrigation Fittings - Tape Fittings - Ring Connectors by Sistema Azud, S.A. Maximum safety and easy installation. Easy Installation: Special design that makes the first insertion between dripline and fitting fast and easy. Safety and Water-tightness. 160 A (16, 17) MODEL. 15,7-16,1 mm inner diameter tape. No reviews were found for AZUD FIT - Tape Fittings - Ring Connectors. Be the first to review!